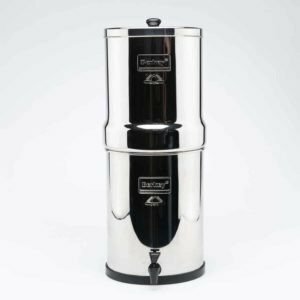 Berkey Works Better Than Any Gravity Filters Available! 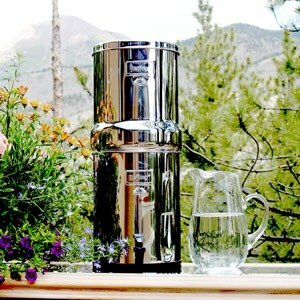 Berkey filters produce the most Healthful Drinking Water available. 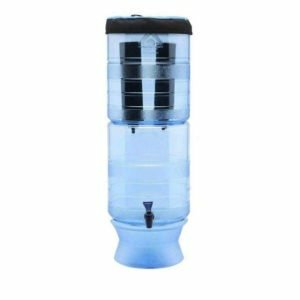 Berkey Water Filter can remove hundreds of contaminants such as viruses, bacteria, cysts, parasites, pesticides, chlorine, fluoride, VOC’s and more from the water and purify more than any other gravity filters available! Berkey Water Filter does not require to be connected to your home plumbing system. A complete standalone system that can be set up in less than 10 minutes without any tools. 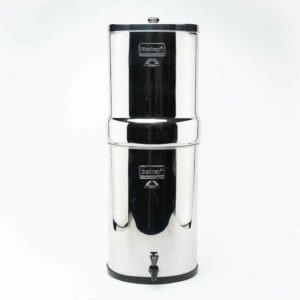 Berkey Water Filter is the most economical water purification system available as you can purify water for about two cents per gallon and it will last for years. 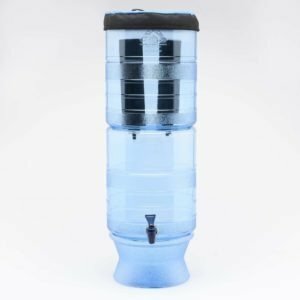 Berkey Water Filter is a great survival gear in emergency situations as it works without the need for electricity and be able to purify raw, untreated water from remote lakes and streams. 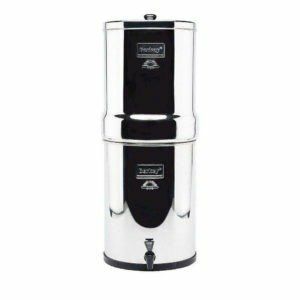 Berkey Water Filter makes your water taste much better by filtering out all of the toxins but leaving the minerals in the water as it should be. You will notice a difference right away. 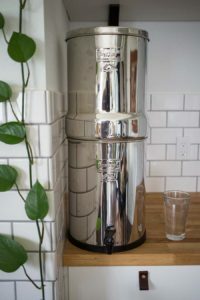 We have used or Berkey for a few weeks now and love it.The water is so fresh and clean tasting has no smell. Our coffee tastes better 🙂 We also ordered the shower head and filter and it has made a a huge different in skin and hair, no more dry skin and soft and smooth hair. If you are on the fence about it just go for it! So far so good. Appreciate the free upgrade to the Royal Berkey when you ran out of Big Berkeys. A small learning curve to prime the filters, but worth it for the confidence of getting clean water. No more hauling water jugs to the store filter. Exactly what I was hoping for. The only negative I have is, I wish I would have bought a bigger model. Water tastes amazing. My friend brings her empty water bottle over to sneak my water . It’s amazing and gives me peace of mind giving this water to my children. We Love everything about our berkey. The Stainless Steel spigot looks so much nicer then the plastic. And works great. We have the travel berkey and it goes where we go. It would be nice if you could make some kind of case to travel with it. We do love our Berkey but do recommend going bigger than you think. We have to fill ours up easily twice a day. Family of 4. Also, husband reocmmended having a small hole drilled in back for air flow, when there is little water in the there it will not come out because it is sealed in with air. Just an idea berkey! We are really happy with our filter and are drinking more water than we used to. Once we got all the parts, the filter was pretty easy to set up and use. I was a bit surprised at how long it took for the filters to start filtering. I wasn't expecting it to take as long as it did. But once they started going, the filter has been working well. 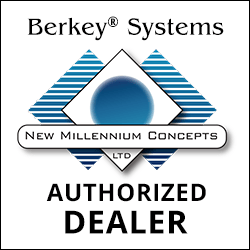 Over the past 20 years, Berkey water has become a household name in water filtration systems across America. 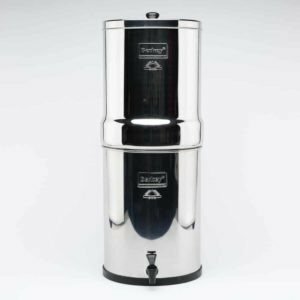 In part, this is because a Berkey filter has been proven time and again to filter more contaminants with greater effectiveness than most other products on the market. However, a general shift in consumer habits has also made home filtration more common than ever. 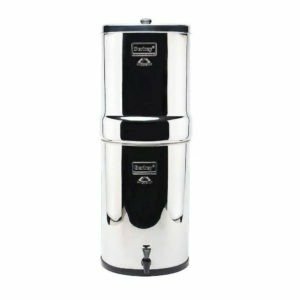 Let’s take a look at what is driving those changes, and then consider what leads consumers to choose a Berkey water filter over some other popular filter brands.